Smart Home Solutions: Promotes Convenience & Safety to Your Health! Health, happiness and safety are the goals, which every person on the earth cherishes and the home is the first thing which ensures all of the three to a larger extent. Technology of modern era has provided us the smart home solutions through various gadgets which of course help us to achieve all the three goals. This is the reason smart home technology is becoming more and more popular nowadays. Hence, if you are considering setting up your own smart home, you are definitely looking for a way to better health. Either way, smart homes are a relatively new concept to you. Read here how applying the smart home solutions in the correct way may promote and nourish your health for better well being. Will to leave along with nutrition and exercise are key to sound health. Speak to any doctor and ask them about the importance of your diet. They’ll most certainly confirm that what goes into your body has an immense effect on your health. Following the wrong diets can even have a psychological effect. This might not lead to the deteriorating of your body per say, but it will have an effect on your productivity at work. Here are some smart home solutions which can help to improve your diet by using the smart kitchen gadgets. The smart home devices have all kinds of settings and smart sensors. All of which is designed to improve your life. Some smart ovens have the capability to switch to a cooling method that drops the temperature down to a warming temperature. Ensuring your roast to stay warm enough for a hot meal, but not burnt to a point where it has a negative influence on your health. Thus, it preserves the nutrition ingredients by maintaining an appropriate temperature. Some smart cooking ware has ways of frying food without using oil. This will drastically lower the rate at which you consume fats and oils. Imagine how efficiently it can control your blood pressure and cholesterol! Some smart cooking ware has ways of frying food without using oil. This will drastically lower the rate at which you consume fats and oils. Imagine how effective it can control your blood pressure and cholesterol! Smart fridge / refrigerators are becoming more common. These devices are able to connect to the internet or Io T (internet of things). It is equipped with the cameras and are able to show you the contents without opening the door. This camera feed will even be available on a mobile app. The shopping list just might become absolute! What you can do is? Purchase one with an interactive screen that can connect IoT technology. Make use of the meal scheduling capability to ease your cooking burden. You can even download recipes from the internet onto your smart fridge / refrigerator! Then let it read the recipe back to you as you cook it. Now, say goodbye to uninspired meals and junk food dinners! Your smart fridge may have a water dispenser equipped with filters. These filters will become dirty over time. Your smart fridge / refrigerator will notify you, on the devices of your choice, to replace the filters as soon as it is necessary. Some people take it for granted, but proper security systems also save lives. Smart security systems aren’t just a sophisticated alarm. Accusing to Safe At Last experts, there are useful integrated functions that create greater security capability. This will keep you stress free while you are at work or even enjoying vacation away from home. Smart sensors and detectors like smoke and flood sensors are vital. Smoke detectors paired with dedicated sprinkler systems will prevent a fire before it causes thousands of dollars’ worth of damage or worst the loss of a loved one. Flood sensors might not save your life in the short term, but it will definitely detect flooding before any major structural damage happens to your house. Structural damage that causes a health risk in the long run. These smart sensors will make you feel secured and keep you stress free. The Co2 sensor will keep the air healthy for breathing. In near future, the smart toilet could spot your early signs of disease or can tell if you’re sick or not! Lavatory diagnoses diseases can be done by analyzing and tracking the content of your urine and detecting warning signs of cancer and diabetes. The smart home solutions include the smart home security systems that have emergency response units at hand. With a smart home security system, you can easily connect your home WiFi network so you can monitor and also control a range of security devices in App from your smart home devices i.e. phone, tables, etc. When an alarm is triggered, your security provider will first call the numbers you listed. They will send their emergency response teams and will even post a call to 911 if life-threatening trouble arises. This again will keep you to be at ease and away from the stress of theft and burglary or losing something or everything in such a case. There is a general belief among Doctors that excessive temperature changes can aggravate certain illnesses. But, you don’t need a physician to back it up. You know how awful it is to be sick in a house that is either too hot or too cold. Smart home technology will enable you to control the climate of your house from your mobile phone. You’ll be able to set the thermostat long before you get into a home. The climate you need to recover will await each time you return home and make your life pleasant. Also Read: Smart Homes: 7 Latest Gadgets Which Makes Your Home Smarter! New smart air conditioners are fitted with filters. These filters will clean the air as it does its job of cooling things down. This will allow the entry of fresh air which is free of suspended particles, thus making you breath clean air. Make use of smartphone Apps in conjunction with your other smart home appliances to create the sleep patterns you need. Good sleep helps your immune system operate optimally. Smart apps that track your sleep will be able to calculate the best time to wake you up (in the window of opportunity you set). All your connected smart home devices will act on the action of your sleep tracker. your smart speakers will greet you with soothing early morning music. Imagine how charming and pleasant it would be! Smart homes will save you lots of time, which is a scarce resource for almost all people on the earth. All that time you can now use to engage in activities that will promote your health. Go jog to enhance your fitness. Read a book to relax or listen music. It’s your time now, use it to your advantage! Around the world, the populations are aging and there is a growing concern about finding the ways that the older adults can maintain their health and well-being while living in their homes. Smart home health monitoring devices aren’t that prominent yet. But, with IoT (internet of things) almost in full flight, we can expect the remote health monitoring of patients’ health to happen. 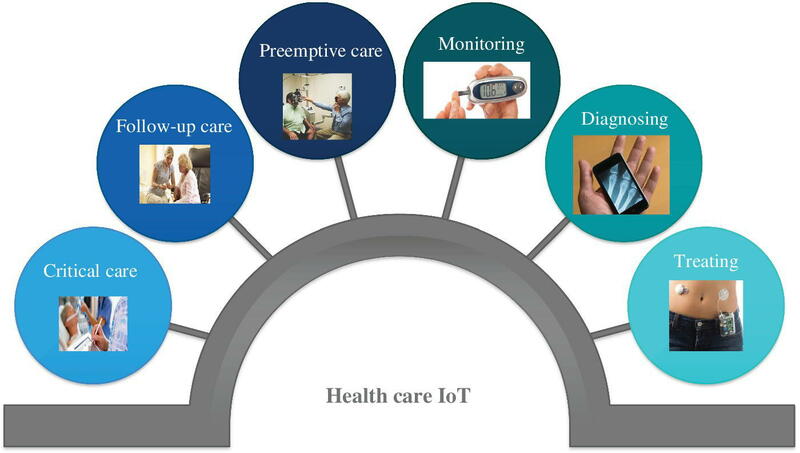 According to Journal of health ware engineering (Hindawi), Due to this IoT technology (Internet of things) based on medical digital devices makes the smart home health monitoring for the elderly possible. By establishing an IoT based remote health monitoring system, the elderly can know about their health condition and get services provided by the health care center without walking out of their home. Doctors will be able to check in on patients already at home without leaving their offices. Basic readings like heart rate, blood pressure and blood sugar levels can be measured by the patient and reported to the doctor. It won’t replace hospitals soon, but it can certainly alert doctors of serious complications long before a patient is rushed to an emergency room. It is designed to help you. You will experience freedom in new ways. Thus, it will lower your stress levels, a curse of modern life which in turn will help to promote good health. It won’t replace doctors, but maybe a smart home per day will keep the doctor away. At least for a little while longer than before. Remember once you are stress free, you will be free of many modern time diseases which are not caused by any bacteria or infections which are the disease of mind, i.e psychosomatic diseases. We hope knowing these smart home solutions, you are good enough to make a move towards adopting the smart home technology for your convenience and better well being for the near future. Make sure you share your experiences and further more ideas below! Infographic – Benefits of Home Automation Systems! Thing To Keep in Mind While Selecting a Security System For Your House! Safety Precautions: Protect Your House From Burglary!